Concordia Seminary, St. Louis’ Regent Awards are designed to help future pastors overcome financial barriers and fulfill their call to ministry. 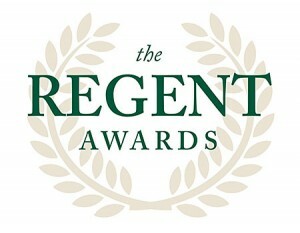 The Regent Awards consist of four separate grants available to students who demonstrate great potential, and will cover full tuition. Regent grants will be awarded by the Seminary’s scholarship committee, and will be automatically renewed for one pre-vicarage year and one post-vicarage year. Members of each incoming class in the Master of Divinity and Residential Alternate Route programs may be eligible for the following awards. Criteria for consideration of these awards include a superlative academic record, recommendations, faculty interviews and demonstrated church and community involvement. The Martin Scharlemann and Robert Kolb Grants. Two grants will be awarded that include full tuition for up to 30 hours per academic year. Recipients also will receive a cash stipend of $4,500, paid monthly throughout the academic year. Recipients of this aid will not be eligible for other Seminary-based financial aid; however, external awards, grants and aid, including support from a home congregation or district, are permitted and will be credited to the student’s account without reducing the grant. The Timothy and Titus and Barnabas Grants. Two grants will be awarded that include full tuition for up to 30 hours in an academic year. Recipients of this aid will not be eligible for other Seminary-based financial aid; however, external awards, grants and aid, including support from a home congregation or district, are permitted and will be credited to the student’s account without reducing the grant. Concordia Seminary, St. Louis’ Presidential Awards provide financial aid opportunity for incoming students who graduate from the colleges and universities of The Lutheran Church—Missouri Synod (CUS) or Valparaiso University (VU), and who have applied to a program in Ministerial Formation at Concordia Seminary. To apply for district support, visit the CUS website.